40 pages, 14cm x 21.5cm. Black & white, on cream paper. Obviously, reviewing zines means there is mainly a nowness to what I'm reading - the latest issue, or a recent capturing of thoughts or events. But there is a deep pleasure to be had from older zines. For that reason I'm always up for reviewing past issues of anything - as long there is some availability for readers to get hold of a copy. We all read old books, listen to old records, and watch old films, without thinking - yet that doesn't happen so much with zines. Largely it's a scarcity factor, limited print runs, and creators - quite rightly - moving on to making something new. 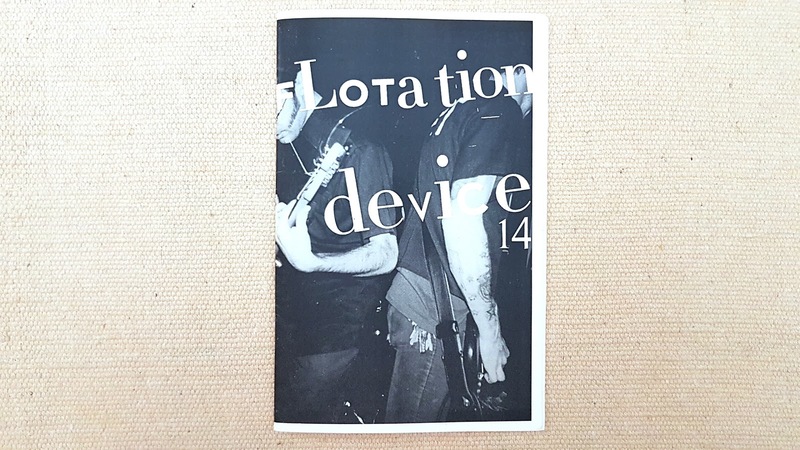 Although some publishers and distributors - Microcosm for example - is helping to plug that hole by printing, and reprinting, compendium versions of out of print zines. Why am I telling you this? Well, the distance of time and space is hard coded into Flotation Device. This issue was written and published in 2015, focused on events that happened in the previous decade. Those memories cluster around playing in a band from 2001 to 3003, and working in a comic shop from 1998 to 2006. 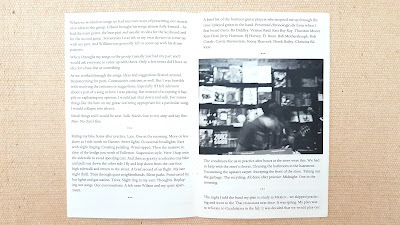 The zine is split into two linked pieces composed of text fragments, illustrated by photos taken at the time. The first piece recounts the relationship dynamics of playing in a band, tensions around songwriting, pre-show nerves, divergent musical ambition, and the realities of practising in a comic shop after it has closed its doors for the night. 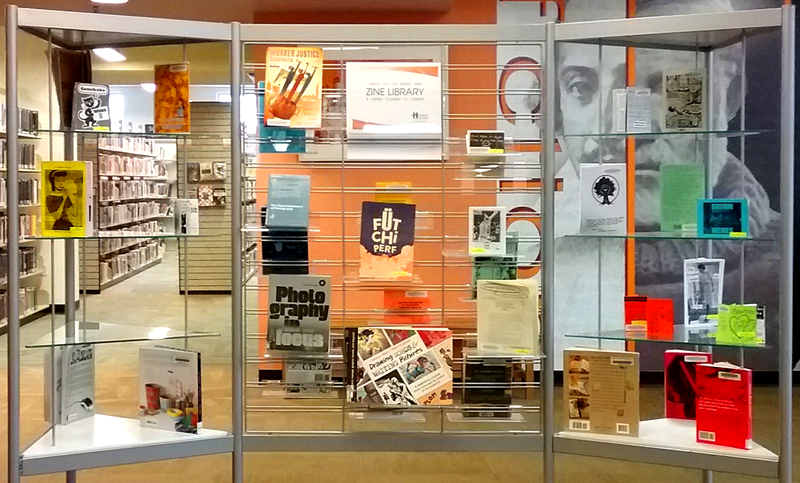 The second section focuses on the years Keith worked in a comic store. 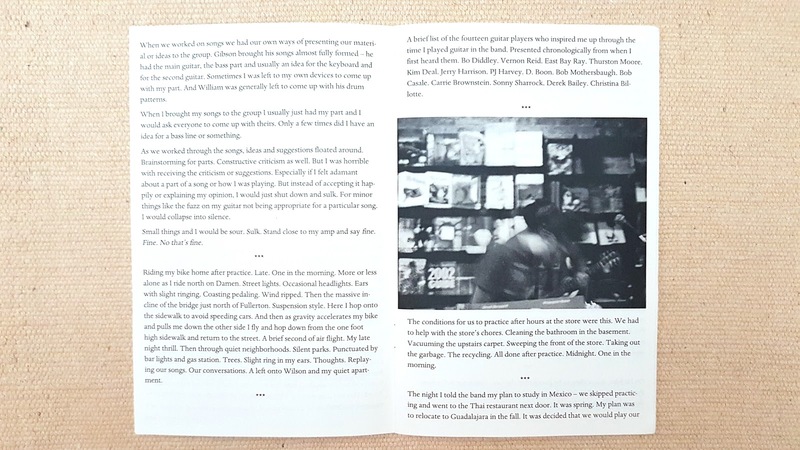 Keith's writing is sharp enough to allow you to visualise the shop in detail - the stacks of old comics, the trashy knickknacks that are branded collectable, but you also get to understand it's rhythms, the personalities of the staff, the particularities of the customers. There is stuff in here too about zine making, running festivals, and workshops. It's not an easy task to draw you into a stranger's life and make you care. Flotation Device does that effortlessly. There is an unflinching honesty to the writing too - about not fitting in, how anxiety can form itself around even insignificant interactions. Flotation Device #14 was my first encounter of this really solid zine, written by a really solid writer. Completely recommended.